Alongside world-leading storage solutions, comes world-class rack inspection and warehouse safety consultancy and installation. Complementing our extensive product portfolio of customer-focused storage solutions, is our comprehensive package of rack inspection and safety services from our qualified inspectors and engineers. 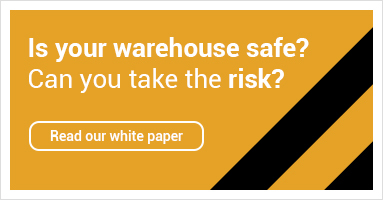 Including warehouse consultancy and planning; rack safety and rack inspection, and a re-design service to support future expansion or streamlining. Not to mention a fully managed project installation service. So whether you choose from our core range of services, or require something more customised, it's an end-to-end offering tailored to meet your exacting needs. Select your required service from the options below. If you can't find what you're looking for, be sure to contact us. When finding the right storage solution, it's always reassuring to have an expert by your side. Our experienced and knowledgeable sales and design team give you a world-class blend of valuable insight, guidance and practical assistance. Dexion racking is manufactured to the highest quality and is designed to give you years of use. But racking can get damaged or misaligned, making it a danger to both your staff and your business. Guaranteeing ongoing safe operations means accepting your legal responsibility to ensure your storage products are regularly inspected and maintained. Our experienced teams are here to help.